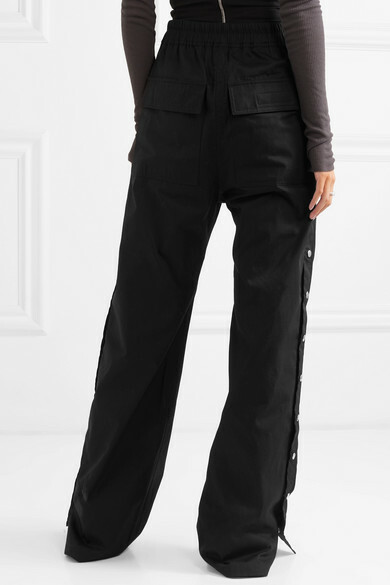 Rick Owens' pants are detailed with snap fastenings down each side, so you can make the fit more relaxed or flared by undoing a couple. 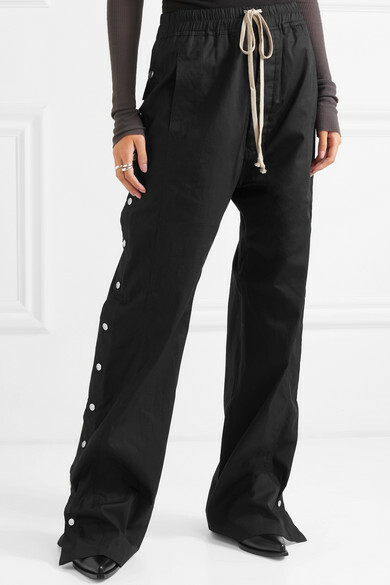 Part of the designer's Spring '19 collection titled 'Babel', this black pair has been made in Italy from cotton-ripstop and has a drawstring waistband. 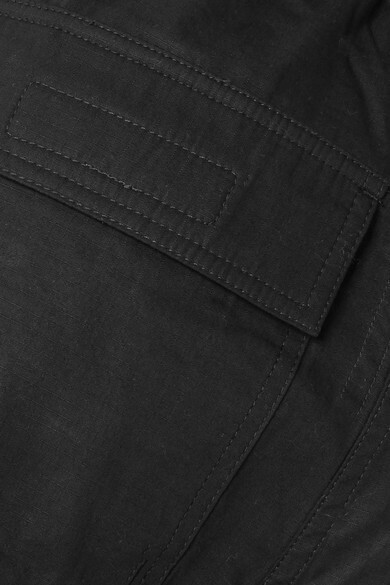 The flap pockets at the back add to the cool utility vibe. 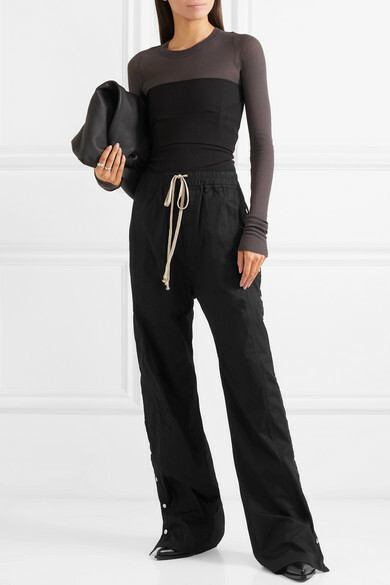 Shown here with: Rick Owens Top, Rick Owens Top, The Row Shoulder bag, Givenchy Sock boots, Sophie Buhai Ring.